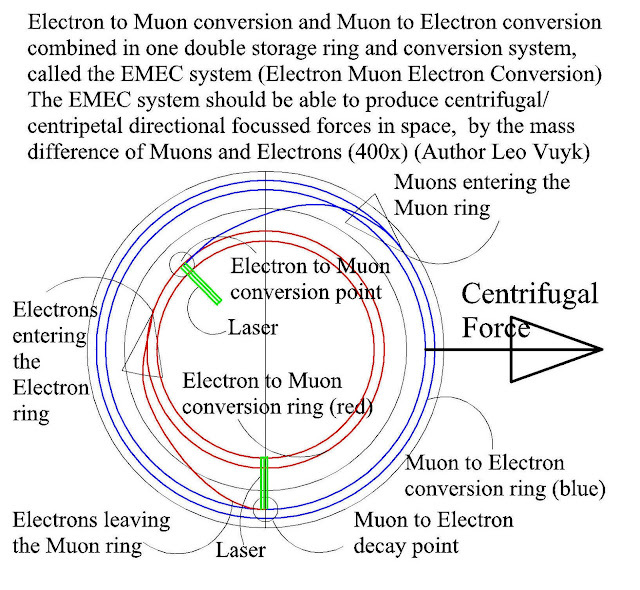 Recent developements on Muon-Electron conversion and the Electron-Muon or even Taon conversion process are reason to suggest a combination of the two for one-sided centrifugal force creation and spaceflight use called the EMEC system. 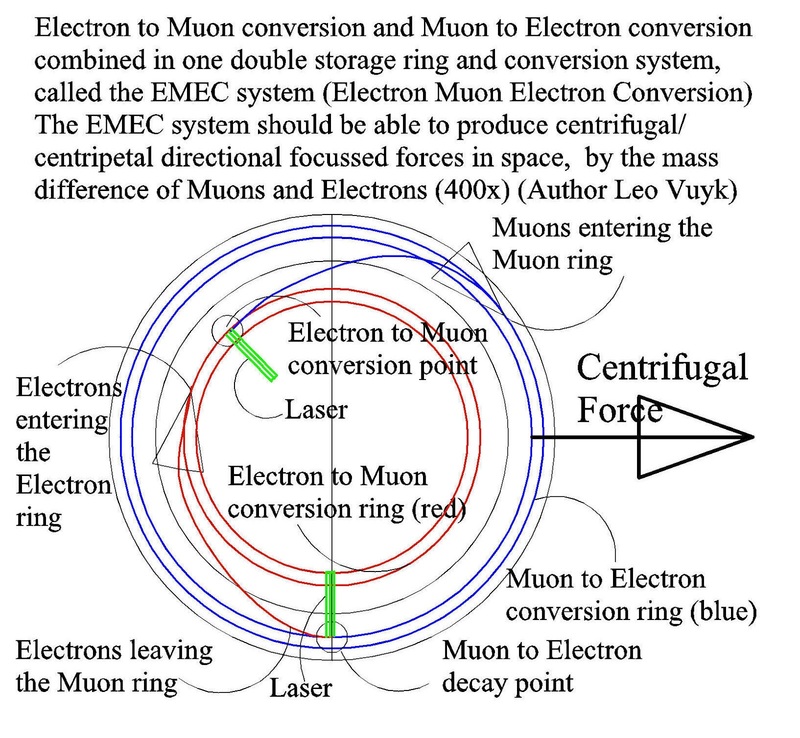 The principle of the EMEC or Electron-Muon-Electron Conversion system is based on the mass difference (400X) between the orbitting Electron and Muon in the two particle storage rings resulting in a one sided focussed centrifugal force. 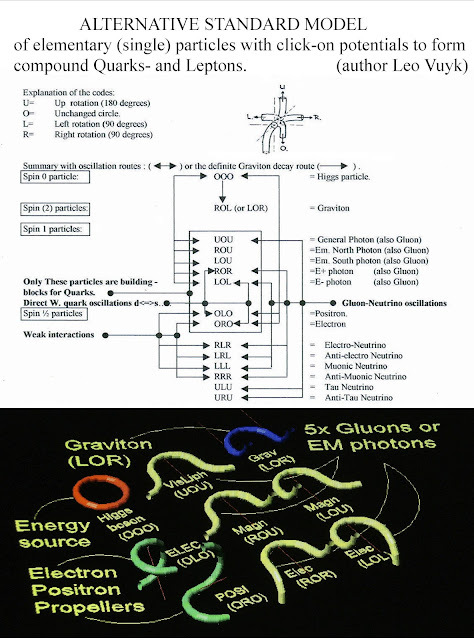 The two (black) Gluonic Photons merged with the electron or positron, are supposed to be the logic origin of the two neutrinos (muon and electron) produced by Muon decay. 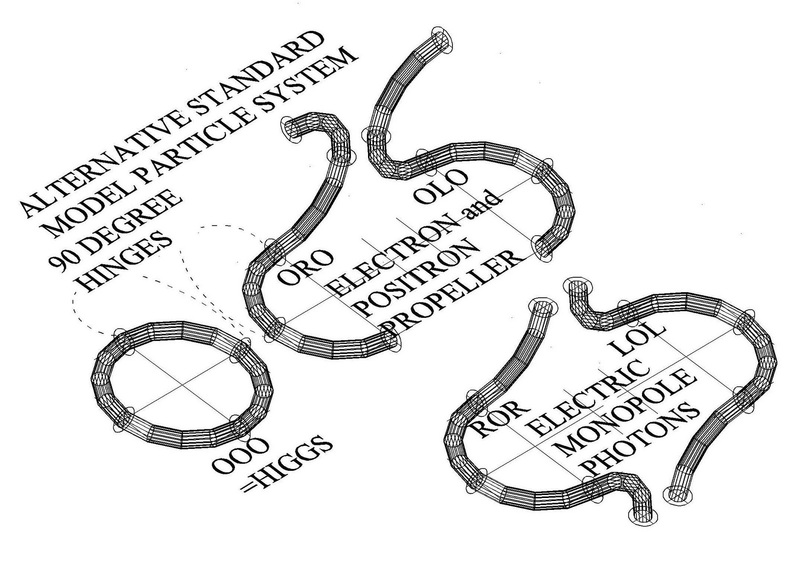 In the Muon decay process, the form of the Gluonic Neutrinos is supposed to change after internal rotation by the constant collison with the massless oscillating Higgs, according to my alternative for the standard model, see below. For electron- muon conversion we "simply" need to "dress up" each electron with two Photons by the aid of a laser or other equippements. 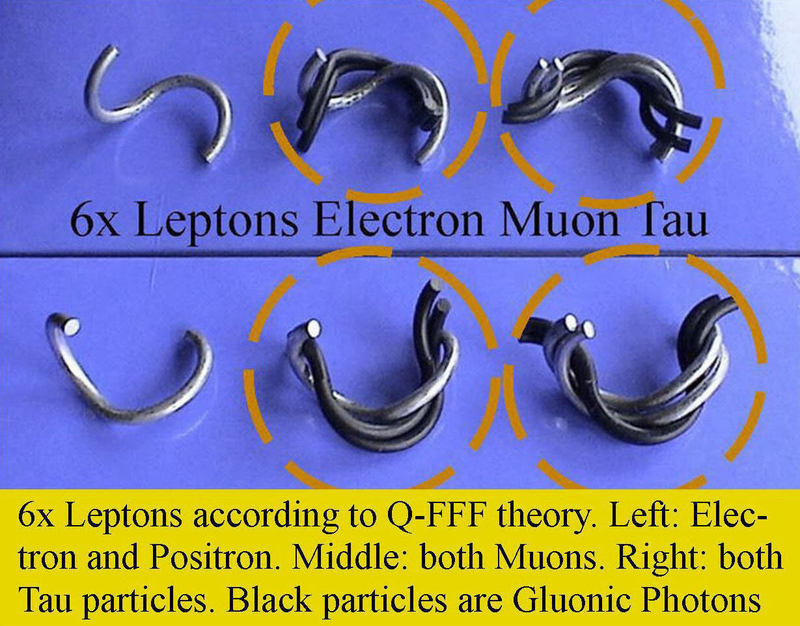 In Q-FFF theory, there are three kinds of photons able to click-on to the electron/positron and create a muon. 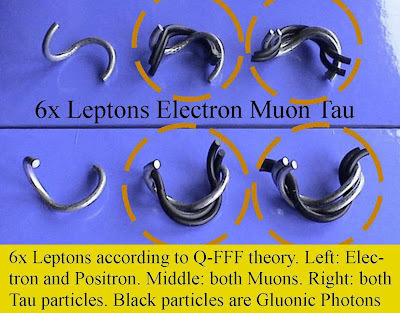 The muon is supposed to be equal with the most simple d- anti d- quark, dressed up with electric photons, which have not the ablitity to be focussed like x-ray laser photons. 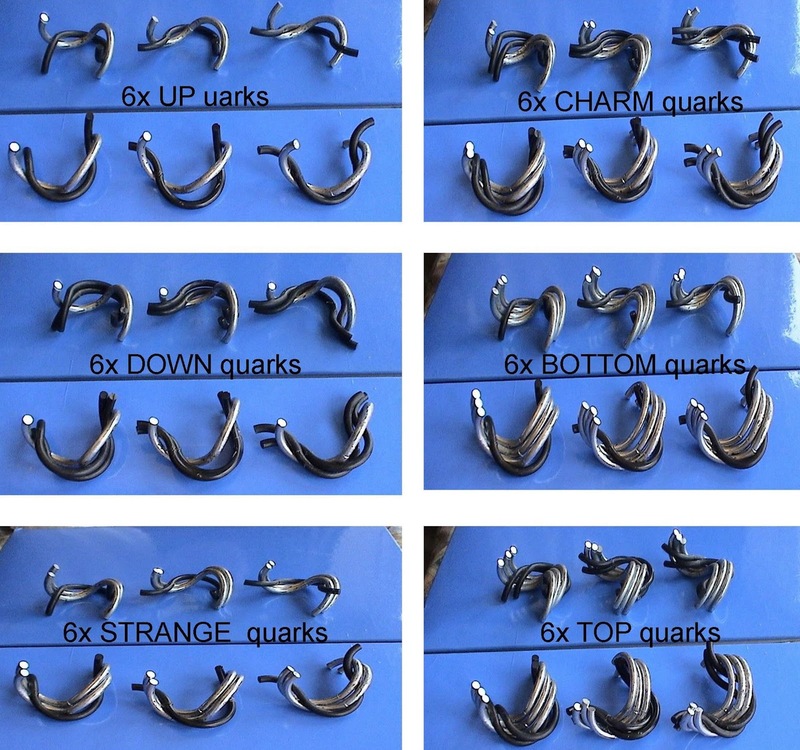 Collision experiments between electrons and Laser based photons will give the answer on which laser frequency is able to efficient change electrons into muons with a stable decay time. At the same time it seems to be possible to stimulate the decay moment of muons by a laser based photon-muon collision process. 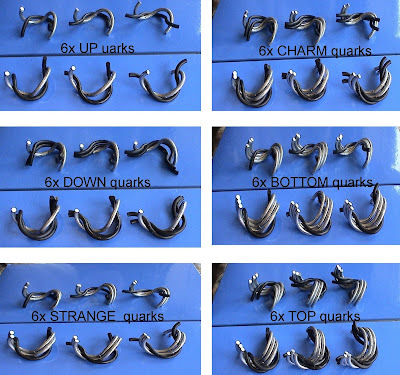 As a result, the conversion processes at both laser collision points will become more efficient and the centrifugal force will become much stronger.